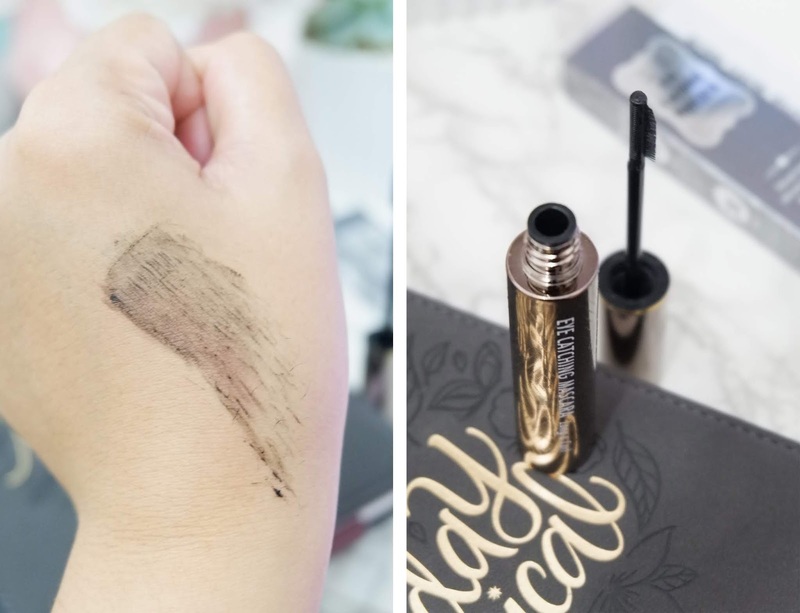 The product claims as strong waterproof effects create the best sustainable mascara and prevent the smudgy eye from water, sweat, and sebum. The Tail comb brush evenly lengths and creates doll-like eyelashes! 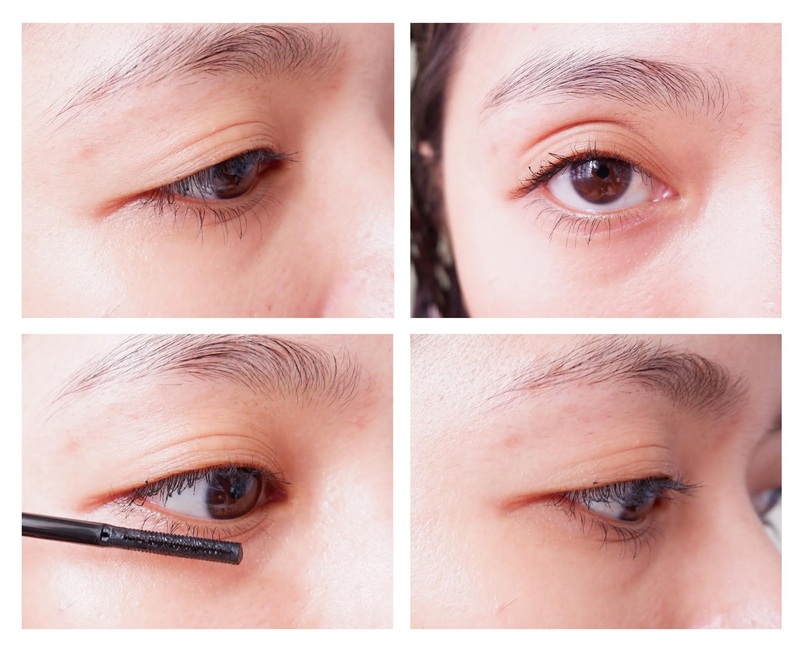 Coat the mascara with an appropriate amount of contents, and gently apply to your eyelash. Tail Com Brush: It gives curvy volume to your eyelashes by evenly applying it from the root. Coil brush helps to apply mascara from the eyelash roots. I love the packaging, it's very simple but eye-catching in color grey with a gold accent, and when you pay attention with on the tube you'll notice the design which I love. 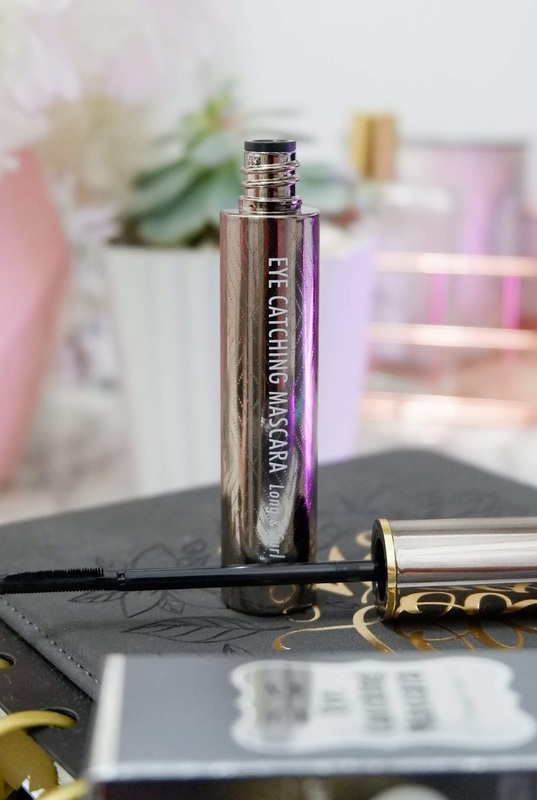 I like how different this Mascara to the normal I have tried, the Tail Brush can give you a curves volume can coat every lash you have also you easily control the brush to make your lashes lift. The tail comb brush has a thickness of a paper and tightly supplies on your eyelashes. The skinny brush covers whole eye-lashes from the root to make a perfect c-curl and fixation effects. I also love how the skinny brush creates and lengthened my inner and outer part if my eyelashes. This mascara delivers both lengths, volume, no smudging, It doesn’t feel heavy and it doesn’t make my lashes stick together. Love the wand, love the formula, and love how it looks and performs. It doesn’t feel heavy and it doesn’t make my lashes stick together. 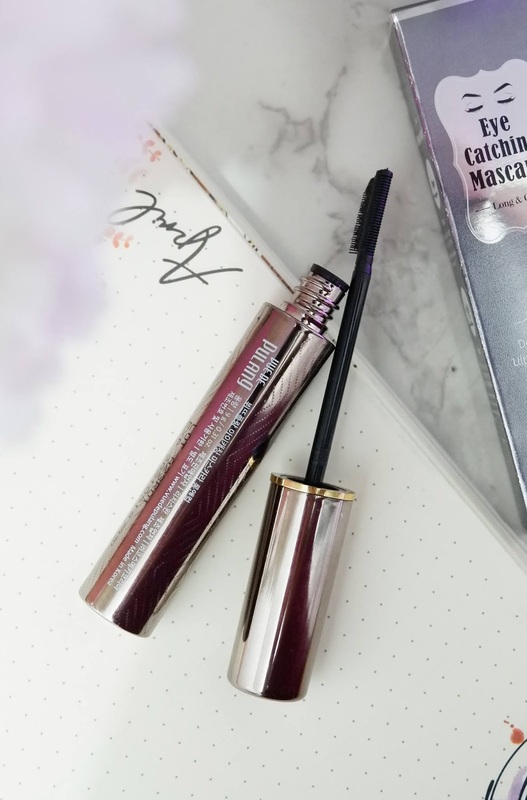 I didn't use curl lash to test this Mascara, as you can see I have very thin lashes and I am amazed how the products provide the volume and lift lash I want. STEP 1: Comb for apparent eyelashes from the root, using the tail comb brush. STEP 2: Comb the outer corner and under eyelashes bu using the edge of the brush. The product is now available at my Charis Celeb app.